Frank Oliver Park’s flowerbeds and manicured shrubs are a brief square of colour opening the vista of the Hotel Macdonald. 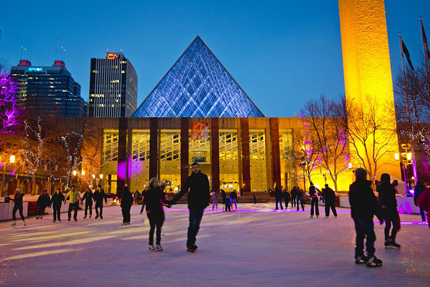 It’s accessible to Edmonton’s many residents and visitors. And it’s for sale. It may come as a shock, but like the Melcor-owned park on 102 St. and Jasper, or the proposed urban balcony project in the Quarters, Frank Oliver Park is an example of private property posing as a public space. When ProCura bought it from the Fairmont, in 2009, chief operations officer Randy Ferguson said that it should never be blocked by a tower. Today, judging from the sign for a future development on it, there’s nothing holding ProCura to that earlier promise. 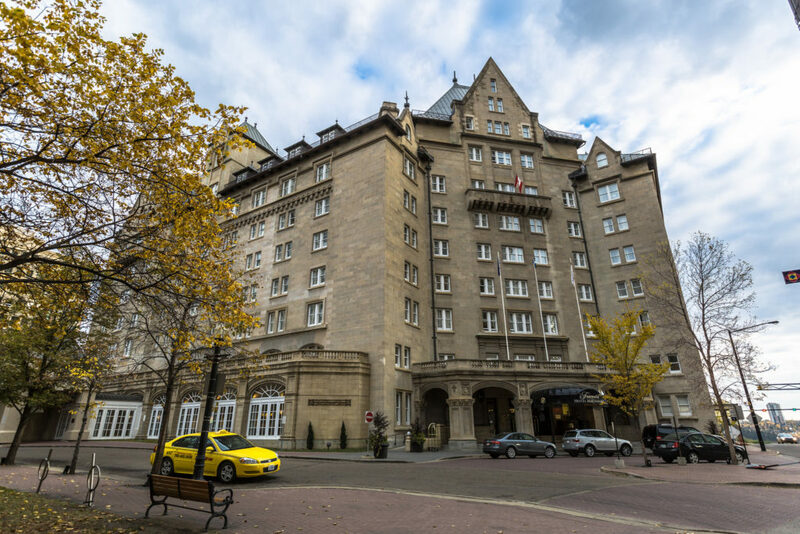 Grant Pearsell, director of parks and biodiversity with the City of Edmonton, says if the park space disappeared it would work to find replacement space, but that does nothing to protect the glorious view of the Hotel Mac from Jasper Ave. The OCL knows first-hand how difficult it is to navigate private parks and land swaps. The community’s Peace Garden Park has moved three times since 2009. The City owns the land the garden now occupies, and leases the space to the OCL for free. Standing alone on the Living Bridge, an abandoned railway turned garden on 97 St., I noticed few things out of place beside the kale and tomato planters: dirty discarded jeans, filthy tees, empty creamers and food wrappers. I poked at an empty chip bag with my foot; it folded in on itself and revealed a bloodied syringe underneath. There was no one around, but there were signs of human life everywhere. It was an overcast fall day. I’d just climbed the skeletal metal staircase to the bridge, a place I’d only previously seen from the smudged bus window. 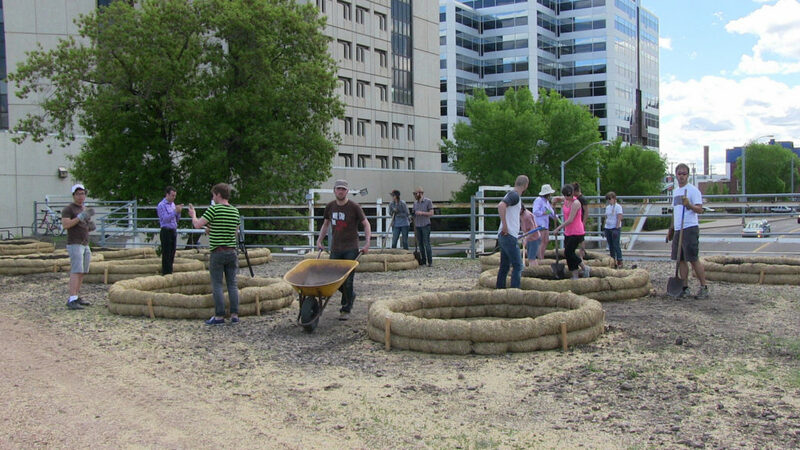 It was conceived by artists and designers Chelsea Boos, Carmen Douville and Erin Ross in 2013 as an urban intervention to beautify an “unused” space by transforming it into a community hub/edible garden. Though privately owned by Qualico Communities, the Living Bridge is otherwise a very public space. Community gardens are often built on the ideals of accessible space and public ownership. The Living Bridge is fully maintained by volunteers who lay no personal claim to anything planted, but collectively keep the garden alive. 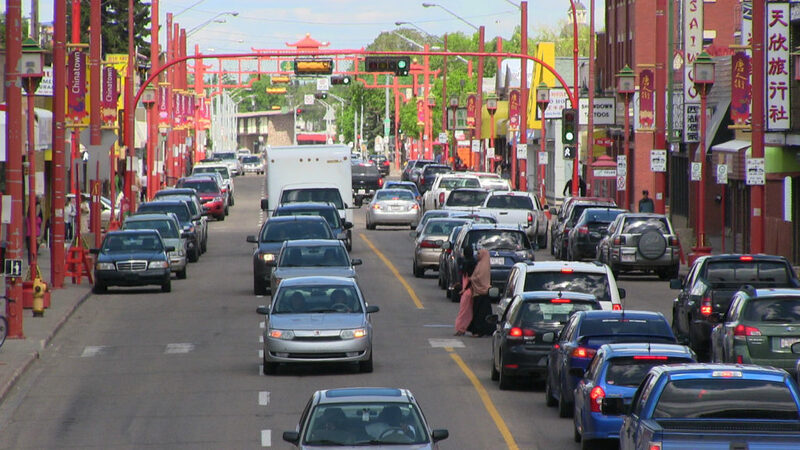 The bridge’s website states its purpose “is to foster pride and community engagement for the Downtown Edmonton, McCauley and Boyle Street neighbourhoods that intersect its borders.” Set about halfway through Chinatown—right on the corners of these three distinct neighbourhoods—it acts as a nexus, at least in a geographical sense. While Downtown holds a lot of business-class wealth, Boyle Street and McCauley tend to be remembered for crime, prostitution, drugs and homelessness. Seldom are these two neighbourhoods recalled for their diversity; the area is also home to a large Aboriginal, East Asian and African population, as well as an artistic community. Long-time resident Timothy Anderson belongs to the latter. The author and MacEwan University instructor recognizes that the garden’s traces of poverty make some residents uncomfortable—the syringes, abandoned wardrobes, hollow remand jail towering above—but he reminded me that “ownership” is a fluid concept, and the ways we express pride over anything, whether spaces or objects, are subjective. When she started managing the project in 2014, she wanted to preserve its initial “by and for the community” ethos. The garden was planted by volunteers, primarily from a young and professional creative class, who didn’t all live in the area and couldn’t necessarily speak for its residents. So with the support of Boos, Douville and Ross, Bailey recruited 65 community members from Boyle Street, McCauley and Downtown to tend to the garden. The result was a mix of ethnic and socioeconomic backgrounds, but Bailey still wondered if so many different types of people would be meaningfully engaged to take collective ownership over a single project. Almost as quickly as a garden went up, so too did a camp; people started staying overnight. And the City of Edmonton, which helped get the project off the ground by supplying fertilized water, decided to retract its involvement with the Living Bridge last year. She recalls an organized volunteer cleanup that turned up hundreds of needles under a big water barrel. Clearing the bio-waste is obviously necessary, but she says it is also important that Edmontonians are exposed to the area’s realities of poverty and addiction. One businesswoman, Bailey recalls, had never seen a drug needle before. “[She] had no idea this was happening here,” says Bailey. No one wants to see dirty needles on their footpaths—and that includes the people who use them. But the City’s concern with safety seems to adhere to a very particular definition of “safe.” What activities, what kinds of people, count as unsafe? And whose safety and sensibilities are top priority? “Where do you want people to go?” asks Timothy Anderson, who is still bothered by the City’s decision to remove drinking water sources used by the homeless community from Giovanni Caboto Park a decade ago. He tried to remedy the situation by keeping one of his outdoor hoses out for the homeless, but his neighbours weren’t fans of the crowds it drew. “Most of the time they’re just hanging out, laughing, joking, finding what fun they can in their lives. They’re not quiet, but why do people find that so offensive? If I saw two or three of the students from MacEwan on the sidewalk in exactly the same position as a clump of homeless people, would I feel that that was something that shouldn’t be there? The answer is ‘no.’ So why do people find that so threatening?” Ironically, it seems that the street-entrenched communities of Edmonton are forced to live in the shadows while existing in the spotlight. Months after my first visit last fall, I returned on a sun-drenched spring day. Again, I found myself alone, but I ventured past the freshly sown seeds into Mary Burlie Park and met a couple of people sitting under a tree. They asked me if I had the time, and I asked them what they thought of the bridge. One man, who has been homeless for a year, called it “awesome.” He added, “It’s a crosswalk for the homeless. It’s history,” and he’d hate to see it torn down, which he thought was inevitable. He was talking about the bridge itself, and not necessarily the newly added gardens, decorative planters and seating. Those are benchmarks of revitalization, which he had mixed feelings about. Pointing to the Ice District and future Rogers Place, he said it will expose many middle-class Edmontonians to homelessness and poverty, and, ultimately, increase prejudices, particularly against aboriginal people. Edmonton, he believes, is trying too hard to make itself perfect, or at least look that way, covering up its economic disparity and pushing the people pegged as “problems” further into the peripheries. Given all the redevelopment, he said it’s hard for him to care about the Living Bridge, since he considers it temporary anyway—like a placeholder until it’s sold. Bailey acknowledged the irony of the Living Bridge to me: Some people, including City administrators, object to people using the bridge to camp, yet harbour no qualms about artists—many non-residents—coming in and altering the old rail-yard to their whims. Nobody had a problem with her reimagining the site because “I’m just a middle class, white kid,” Bailey stated matter-of-factly. What people forget about “urban interventionism,” Bailey explained, is that one rarely reimagines an “unused” or “neutral” space; someone has probably already been using that land. Before they were flowerbeds, they were human beds. Though street-entrenched people are seldom credited or even acknowledged for building their own definition of community, the Living Bridge offers a space that allows them, and others, to cultivate a unique sense of pride in their own neighbourhood. The prior business zoning was for a convenience store, but when Wang changed it, and thus the business license, to a restaurant, a city bylaw required an unrealistic amount of parking for a main-street eatery. She applied for a variance—a leniency on the required minimum car stalls. Lawyer fees and maintenance costs compounded while Bru’s opening was delayed for two months, she says. 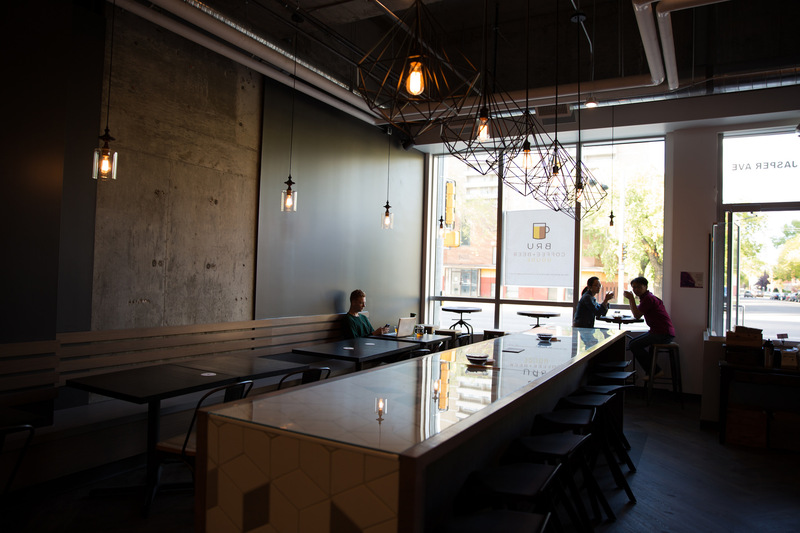 Her variance was finally approved and Bru opened in September with nine spaces. Currently businesses must provide one parking space for every 3.6 square meters of public restaurant space—one of the highest rates of any major Canadian city. 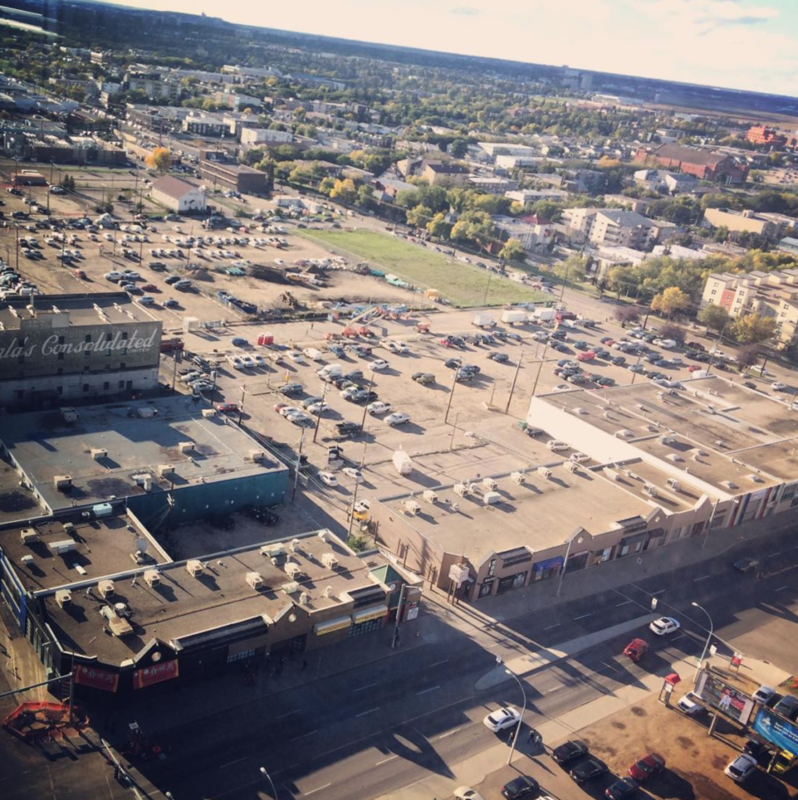 Bru is just one example of Oliver and 124 St. businesses tangled in strict parking standards, but a City pilot project drafted to lower requirements for restaurants in the areas, as well as in Old Strathcona, could change that. The goal is to find an acceptable balance between parking supply and business needs, says Colton Kirsop, a senior planner with the City. His department, Sustainable Development, is forming the pilot along with Transportation, which began assessing current parking patterns in Oliver last year. The high cost of excessive parking requirements doesn’t just discourage new neighbourhood businesses; the bylaws discourage walkability, density and transit use, and are antithetical to the City’s own attempts to promote these principles. The OCL would like to see its business areas earn similarly reduced requirements. 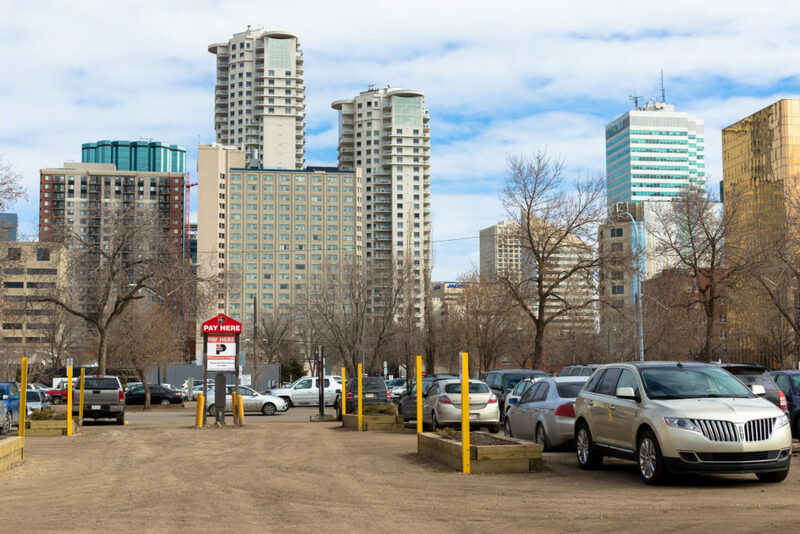 “The existing parking requirements are a huge hindrance to businesses setting up,” says president Lisa Brown, who filed a letter of support on behalf of Bru last February. Those who support minimum parking requirements worry that without them visiting customers will park on residential streets. “You can’t ban parking without a major backlash,” says Coun. Scott McKeen, who finds the current rules restrictive. The councillor urges investments in public transportation, cycling infrastructure and late-night transit, which could help ease this car-dependency. A report is expected back to city council’s executive committee with recommended changes as early as February 2016. “For the Love of Winter” sounds like something you’d get in your Christmas stocking, but it probably wouldn’t fit. At 152 letter-sized pages, the City of Edmonton’s draft of winter design guidelines is, by some experts’ estimates, the most comprehensive in the world. When council inevitably approves a version of it in 2016, it could help shape our architecture and public spaces for decades to come. She means designing buildings to block winds, maximize sunshine through orientation and add some zest to winter-scapes through colour and light. 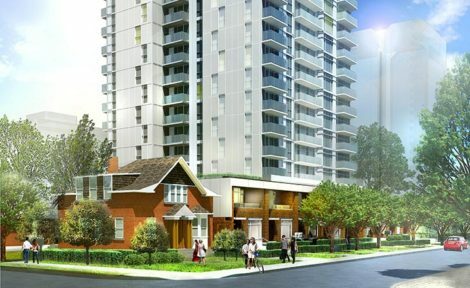 Yet much of our design choices — particularly downtown — seem imported from southern climates or engineered for our discomfort: drab colours; sharp-cornered buildings that accelerate windspeed; Melrose-style open walkways that absorb snowmelt into the concrete and create condo nightmares. However, there are signs of change, even without the encouragement of 2011’s Winter City Strategy (the impetus for the design guidelines). The Cactus Club’s fire-lit patio comes to mind, as do the colourful lights that’ve made the High Level bridge most noticeable during the season’s long nights. “It’s now an icon all year round,” notes Ian O’Donnell, chair of DECL’s development committee. To that point, the City is preparing pamphlets for business-owners, builders and other private interests to help educate them on the big and small ways they can make Edmonton a great winter city. Don’t worry — it’ll only be a few pages long. Remember that time on a Sunday in Edmonton when you had too many options for things to do and the Downtown and Oliver streets were crowded with people? Of course you don’t. On Sundays, downtown can feel like a sleepy town you pulled into off the highway. To find a good coffee or a new pair of shoes, to hem a pant or fix a phone, to find out whether the new “it” restaurant lives up to the hype, can feel like you’re living an episode of the Amazing Race. Actually, it often feels that way after six o’clock each day, but Sundays are guaranteed snoozers. The cafes are closed; a majority of bars are silent; offices are locked. And, thus, the sidewalks are barren. Even our autobahn-width streets and free street parking, a friendly plea to incoming shoppers, if nothing else, are lightly trafficked. None of this holds as true in many of our suburban spaces. They don’t hold true on Whyte Ave. neither, where at least the shops stay open till five and popular restaurants like Meat and Ampersand 27 are open … late … seven days a week. Since the post-millennium downtown revival, we’ve added close to 10,000 people to our core neighbourhoods. Many of them are young, make decent money and live interesting lives. Yet so many of the businesses in their neighbourhoods don’t cater to them. Instead, their business hours serve the ephemeral office crowd that drives in and out, for five days and 40 hours a week. There’s no reason for this other than culture. We’ve allowed Sunday shopping far longer than other cities. (Halifax, for example, only legalized shopping on the Lord’s Day in 2006, a decision that took far longer because of its deep Christian past. But while commerce took a step forward, the amended bylaw didn’t transform Halifax’s already bustling weekend streets; those were baked into the waterfront’s DNA.) It’s not like we don’t get out on Sundays, either. Down in the river valley, the trails and pathways are busy arteries of recreational life. But up in the downtown, it’s tumbleweeds. Meanwhile Old Strathcona is a nexus of activity. Perhaps that’s why the City thought of Whyte first when piloting the possible car-free Edmonton, an effort to shut down the street for pedestrians for a few hours on select days. Maybe downtown businesses would benefit from it more. It has worked elsewhere. Since the ’90s, Ottawa has closed Colonel By Drive to traffic every Sunday for pedestrians, cyclists, rollerbladers, pets and all other forms of foot-based life. The results have been transformative. Colonel By Drive winds along the Rideau Canal (Ottawa’s version of our river valley) and ends up right downtown. Effectively, the route feeds pedestrians onto Ottawa’s once-dead Sunday streets. And since Sunday motor traffic is nearly absent anyway, few complained. 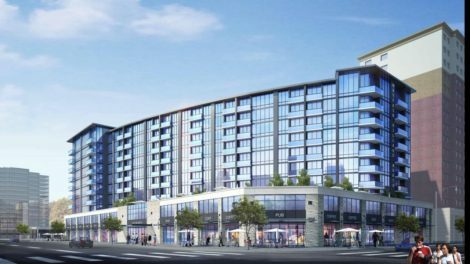 Imagine if we did the same downtown, and not just to accommodate nightlife, as it’s been proposed for Whyte, but day-life. On Sunday, we pick a road or two, which are hardly being used by motorists in the first place, and throw them open to people walking, biking or just loitering. We encourage businesses to extend not just their hours, but patios. Invite food trucks and kiosks. Buskers, too. We can’t force businesses to open and treat downtown as more than a roofless stadium for the service sector. What we can do, though, is bring people here on Sundays, much in the way that festivals already do, only this wouldn’t have any planned programming—just whatever happens when we hand over our downtown to the people. 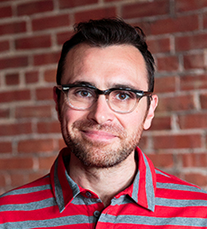 Tim Querengesser is president of The Edmonton Wayfinding Society.